The way that we usually doing are removable the battery. But that’s not easy and become a new problem. The example “watch” will different because update outomatissfull doing. The alternative way to blackberry reset is push butten “Alt + Sift (right) + Del” together for any time. But it’s not to all kind of blackberry. Some kind of blackberry that no keyboard QWERTY as Monza (9860) and Monaco (9850) without Shourtcut button to push on reset. Now, we ask the good way and safety. That’s : we Install an application as Quickpull. 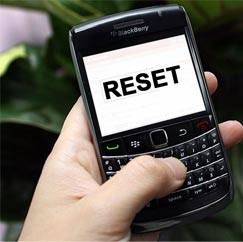 With this application we can blackberry reset outomatically. How to download Quick Pul. please connect your blackberry smartphone to download this app. 0 Respones to "The Good Way to Blackberry Reset Without Removable Battery"